A female blackbird has been very busy over the past couple of days building a nest in our wall climbing Ivy. 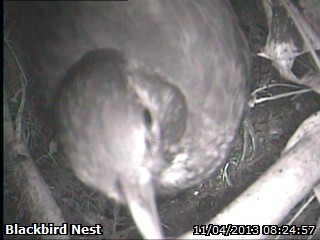 The nest is still in the early stages but you can watch all the action live on our Live Cameras. We have had the camera up for a couple of days but wanted to check if the female blackbird was making a nest there before we put them live on the site.